Today is the 5th Monday of the month and our fearless leader, Sarah of Fantastical Sharing of Recipes decided that her plate wasn't quite full enough with all that she does, (yes, I am being facetious) and she should put together special SRC events during months that have 5 Mondays. I don't know how Sarah manages to keep it all together..she is a wife, mom of 3 (including a newborn), owner of her own blog as well as the leader of Secret Recipe Club. I get tired and confused just writing it all down LOL. Sarah chose tailgating as the theme for this special edition, gathered members from all 4 SRC groups and made the assignments. One of the great things about these special editions are we get to meet and learn about members of our club that are assigned to other groups. I was lucky enough to be assigned Michaela of An Affair from the Heart. Michaela caught my heart right away because when she was young and asked what she wanted to be when she grew up her response was "a mom". That was what I wanted to be when I grew up too! I thought I was the only child that dreamed of nothing more than being a mom. Michaela's dream came true, she is a SAHM of four who loves to cook and entertain. The cooking and entertaining endeared her to me even more. I was lucky enough to be a SAHM for the first half of my children's lives before starting my career as a police officer. I wouldn't change my experiences for anything but I do regret having missed out of parts of my children's daily lives while at work. So, here I was, with a great theme, a great assignment and literally hundreds of great recipes from which to choose. The only thing I was short of was time because we weren't home too much during this past month. Knowing that I was going to be going out of town again and would be gone the week of this event I chose to make a dish to serve when my kids came over for dinner to celebrate my birthday. That knocked out the Jello Shots that I thought I would make in my Michigan State molds in honor of the tailgating theme. Not that my adult kids don't drink but then they would have to drive home and I don't need those worries. I went into Michaela's section of appetizers and snacks and immediately hit pay dirt. 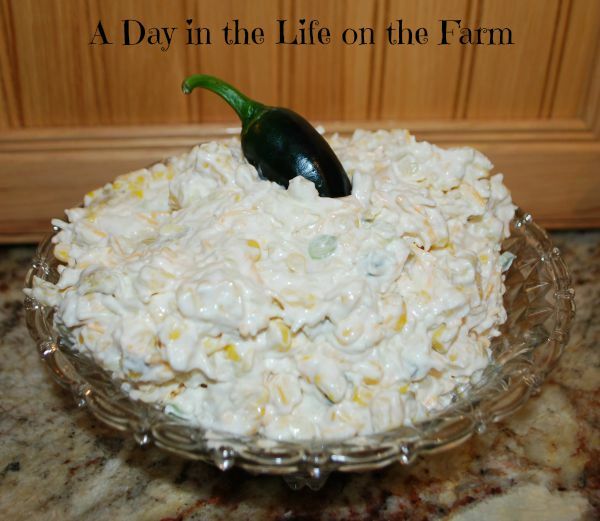 See it is not just football season here in Michigan but it is also corn season, so when I saw this recipe for Award Winning Crack Dip I knew that it was exactly what I was going to make. I adapted the recipe to work with what I had in the pantry and refrigerator. I have never heard of Mexicali corn so I am not sure what else is in the can with the corn. I just used the kernels of 4 ears of fresh sweet corn. I used Miracle Whip instead of Mayo and 1 large fresh jalapeno instead of the jarred called for in the recipe. I have to confess that when I was putting this together I had some serious doubts but Michaela related that she was surprised by this recipe as well so I persevered and......THIS STUFF IS LIKE CRACK!! I am addicted and advising you to heed my warning because you too will be a Corn Dip addict after just one bite. Thanks Michaela for a great recipe and thanks Sarah for putting together this fun event. Take a look at what other's are bringing to this Tailgate Party! My friend, Stacy of Food, Lust, People, Love, has started a new cooking group in which we will be sharing with each other and our readers a new Muffin recipe on the last Monday of each month. 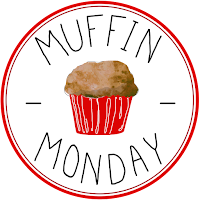 When Mom and Pops were living with me I celebrated Muffin Mondays quite often. Pops loved his sweets and Mom would always profess that she wasn't hungry but if you put a muffin in front of her she would eat every drop. 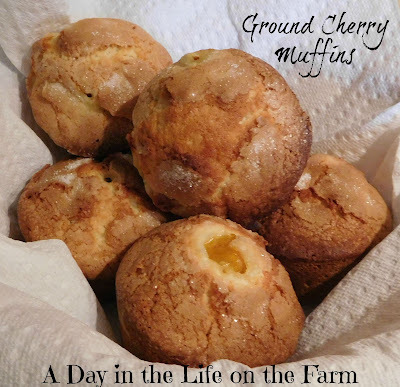 I have shared several muffin recipes with you in the past, you can find them here in the Yeast Bread, Sweet Breads and Muffin link of my recipe page. But there can never be too many muffin recipes. They are so versatile. They can be sweet or savory. Can be eaten on their own or as part of a meal. Heck if you stuff them with meat and cheese they can be the meal! I love muffins and I hope you do too. I also hope you enjoy those that we share with you each month. Thanks Stacy for coming up with this fantastic idea. 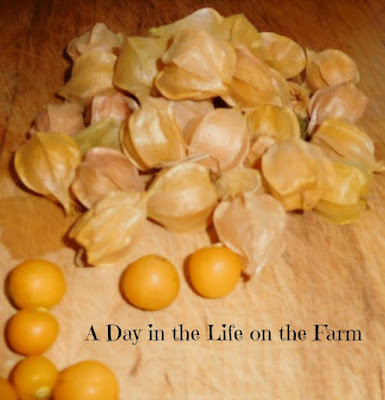 When Stacy first approached us with this idea I shouted out a Hallelujah, because I had a half pint of ground cherries in my fridge that I had gotten from my CSA and I wasn't sure what I was going to do with them. This little project answered that question right away....Muffins.....the great foil for any kind of fruit. Ground cherries are sometimes called husk cherries. They are related to the tomatillo and grow inside papery husks. They are tart and sweet and perfect for muffins, cakes or sweet breads. I have also used them to make sauces to serve with meats and made syrup with them for over pancakes. If you are not familiar with ground cherries look for them the next time you are at the Farmer's Market. The recipe only provides for 6 muffins which is just perfect in this household but you can easily double the recipe if your family is larger or if you want muffins for the freezer to pop out during the week when the morning is too busy for a sit down breakfast. Muffins are a wonderful, portable breakfast that you can hand to your loved ones as they run out the door. Let's see what the others have made for us today! Happy Sunday everyone. I am rested up and ready to face the coming week but before I do I wanted to share a couple of things with you. First, on our ride home yesterday, I finished the third book of the O'Dwyer Cousins Trilogy, Blood Magick by Nora Roberts. You can find the review of the first book, Dark Witch and the second book, Shadow Spell by clicking on the titles. This last book in the trilogy was typical Nora Roberts. I laughed and I cried. I rooted for good against evil and, of course, good won. I enjoy Nora Roberts when I want books that I can just relax with and not have to think to deeply. Just a pleasurable escape from everyday life. The fact that these books take place in Ireland is a bonus for me. Each book concentrated on one of the cousins more than the other two and this last one concentrated on the eldest and strongest witch, Branna, and the struggles she faced being in love with a man whose bloodline was cursed by her ancestors. It's an easy, enjoyable read. I have now started A Lesson before Dying by Ernest J. Gaines. This is the selection chosen by our Book Club Cookbook Cooking Club. I am about halfway through and then I will create a dish and review the book for you. 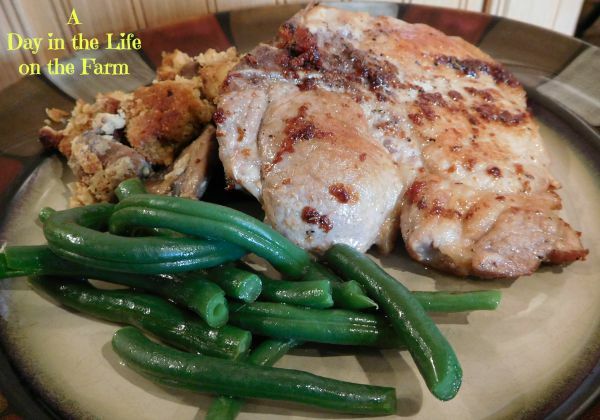 Tonight I made Pan Roasted Pork Chops for dinner. I like roasting my pork chops to finish them off so that they stay tender and juicy. Too often, if you are trying to just fry them, they get tough and dried out. This is a perfect way to get that seared exterior without losing the juicy goodness of the pork itself. Spent a wonderful day with Jen and Spence yesterday. When Frank's conferences were over we went into town and stopped by Fustini's for some olive oil and balsamic vinegar and to Cherry Republic where I grabbed some trail mix and cherry almond jam. 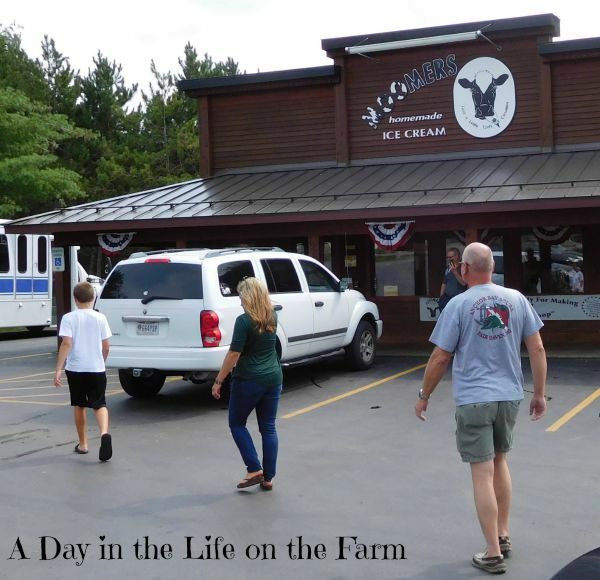 We had lunch and then headed over to get Jen and Spence to go to Moomers for ice cream and then for a ride into Glen Arbor and Fish Town. We got Jen a birthday present, some smoked whitefish pate and garlic cheese made by Leelanau Cheese Company. Then we went to Trattoria Stella for dinner. It was delicious. This morning we went into Maple City for breakfast at the Pegtown Station before packing up and heading south. Karen had planned a wonderful dinner for us and we enjoyed baked spaghetti with salad. The perfect ending to a perfect few days. Tomorrow we will attend Mass and then Frank is taking Linda and Greg's Ukrainian daughter out for driving lessons. Monday I am meeting my friend Cathy for lunch. Tuesday I am taking Mom Klik to bingo and then we have a PPC welcome potluck being hosted by our friend Brigitte. I am making potato salad. Wednesday is a free day....wooohoooooo. Thursday we have a meeting with a real estate agent and Friday we are having our friends, the Nutters, over for dinner. So here is my Weekly Menu, please stop by each day for recipes and photos. We also have some great things coming up this week on the blog. Monday we will be sharing our muffin and tailgate recipes and Tuesday I am hosting our Foodie Extravaganza where we are celebrating all things mushroom. Lots to look forward to. TBD- we are doing Volcanic Wines for #WinePW once I decide on the wine I will decide on the meal. We headed back north this week. This time for Frank's work conference. We arrived Wednesday in time to watch Lili's soccer game, well Frank got to see part of it before he had to leave for a meeting, but I got to stay for the whole game. Lil played well, unfortunately the team did not and they lost 2-0. After the game Lili took out time to give me a quick hug before heading out to one of her friend's houses with the rest of the team. Life is good for Lili at 16, she is sparkly and bubbly and having the time of her life. Randy went to work, Spence was babysitting so Jen and I went to dinner. It was nice having dinner just the two of us. It doesn't happen very often so we took full advantage of our alone time together. I took Frank back a sandwich for after his meeting and then we went down to the beach party that had been moved indoors since it was only in the 50's here Wednesday night. But Thursday brought sunshine and 80*. Beautiful weather and you couldn't ask for a more gorgeous setting. Our hotel is right on the bay and this is the view we had as we were leaving our room on Thursday. It is hard to find, in my humble opinion, much that is more beautiful than Northern Michigan. After Frank's conference in the morning, lunch was provided and after a short rest we headed out on a Libation Tour that was set up for those attending the conference that didn't want to golf in the tournament that was being held. We all climbed into two large buses and headed out to get a taste of Northern Michigan. 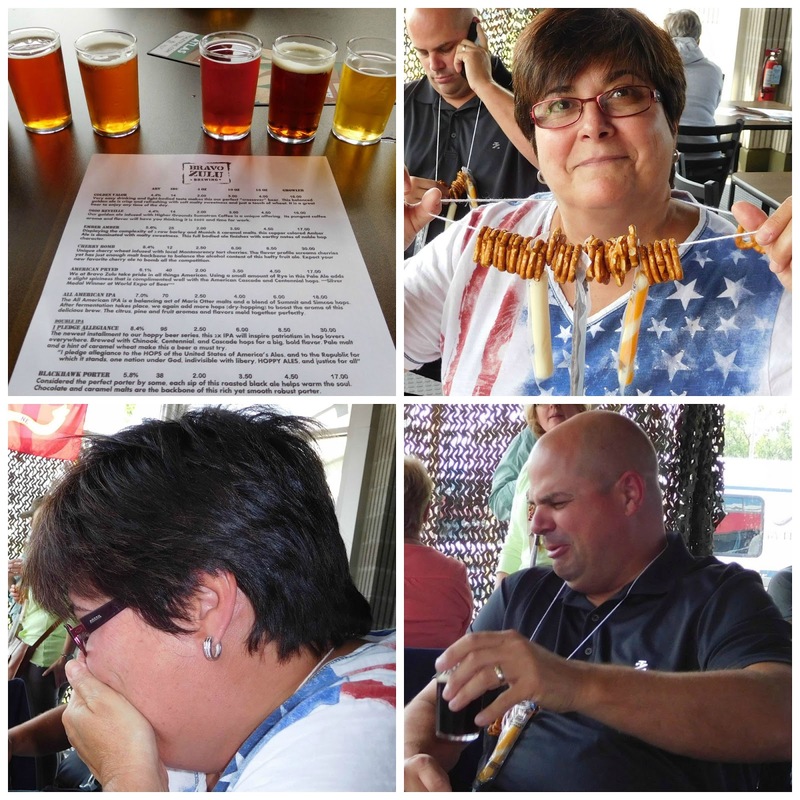 Our first stop was Bravo Zulu Brewery, owned by a wounded vet and a retired bomb squad police officer. (l-r) I ordered up a flight of all their offerings. We were all given these nifty little necklaces made of pretzels, cheese sticks and jerky sticks. As soon as I took a sip of beer, our friend Michelle, commented how she was loving this necklace and was going to make one for when she was watching tv at night, I tried very hard not to spit my beer out while I laughed at that little remark. Michigan does make good beers but evidently Brian didn't care too much for the Porter. The next stop was a winery called Left Foot Charley. This winery uses vineyards and orchards from the local area to make wines and hard ciders. We had 3 tastings of each. The white wine blend called Murmur was decent as are many of our white wines. The Red Drive a blend containing Cabernet Franc was weak and lacked body as do many of our red wines. The Missing Spire Reisling was a pleasant surprise as it was much dryer than I had anticipated and may have been my favorite of the 3 wines we were given to try. The hard apple ciders are not to my taste, however Frank likes them so he drank my tastings. I don't see why they would want to ruin a perfectly delicious apple cider by carbonating it. 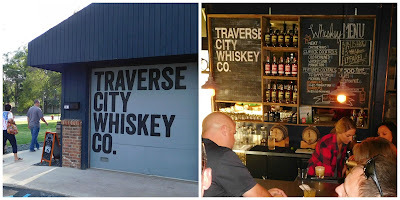 Our final stop was the Traverse City Whiskey Company, where we ordered cocktails containing Bourbon Whiskeys, one which was flavored with Cherries, a huge crop in this area. Frank and I enjoyed a whiskey sour made with the cherry whiskey and garnished with a bourbon soaked Montmorency cherry. Delicious. We ended the evening going out for dinner with the members of one of Frank's groups that he represents. We had a lot of laughs and good conversation. It was a great day. Frank just came back from his last meeting of the conference so we are checking out and heading over to spend tonight with Jen and Spence. Randy and Lil are downstate and will be staying at our house tomorrow night when we return. Hope all of you are having a wonderful last hurrah of your summer as well. This is the second novel I have read by Chris Bohjalian, the first of which was The Double Bind. The books couldn't be more different. They were both good but The Double Bind was filled with twists and turns and an ending that left you stunned to the point that you wanted to immediately read the book again because you couldn't believe that you had missed what was going on. I guess I was expecting Before You Know Kindness to be kind of the same so I kept trying to read between the lines so that I would know the ending before it happened. Well, as it turned out, I did know the ending before it happened but not because of any twisting and turning plots but only because it was a normal, everyday novel about family dynamics and you wanted everything to work out for them so it does. I wouldn't run out and buy this book nor will I ever read it again but I don't feel as if I wasted my time reading it. It was a nice little escape and it was nice to see a family that could survive their differences by loving each other just a little more. Not sure what I am picking up next but we will be heading north again tomorrow so I definitely will be starting something new. Happy August Everyone. I know that many of you are busy, busy, busy, getting the kids ready to go back to school but I hope you have a few moments to stop by and take a look at what the members of Group D in the Secret Recipe Club have to share with you today. The Secret Recipe Club, or SRC as we fondly refer to it, is a group (well actually 4 groups) of bloggers who get together each month to play a fun little game of I Spy (kind of). Each month we are assigned another blogger from our group. We start spying on that blogger, learn about them and what makes them tick, find a recipe on their blog that we cannot resist and make it. Then we all get together on the same day and reveal who we were assigned and what recipe we recreated. It is a lot of fun and one of my favorite cooking clubs. We are a friendly bunch and we love to welcome new members. Interested?? Go right to this Join SRC link and find out how. You will be very happy you did. This month I was assigned Erin of The Spiffy Cookie. Erin loves baking, cooking, crafts and working out. She needs to work out because she LOVES desserts the best and always makes room for it. She also has tons, and I mean TONS of dessert recipes. Erin also has a lot of other recipes and she, like me, tries to make her meals somewhat healthy but she always has room for dessert, especially if it contains chocolate and peanut butter. That is another thing Erin and I have in common. Erin and I belong to several of the same cooking clubs so I get to enjoy her blog on an almost daily basis. Let me tell you, you should stop by Erin's blog each day and see what she is up to...you will not be sorry. I knew that I wanted to make a dessert recipe from Erin's blog. My husband is a CPL instructor and he was holding a class this month. Each time he has a class, I provide lunch and I always like to have a great dessert to finish up the meal. Now, you would think that this would make my decision easier this month since I, basically, knew what I wanted to serve. That is because you have not yet popped over to Erin's blog to see how very many choices I had!! Erin has 9, yes 9, subsections in her dessert file. Now I had to decided if I wanted to make brownies, cakes, cupcakes, cheesecakes, cookies, ice cream, pies, puddings or truffles. Then as I started going through the subsections I found choice after choice after choice. I was starting to suffer anxiety....so I decided to narrow it down a bit. There were going to be 10 students and my husband, the instructor, making 11. I was serving Biscotti with coffee in the morning so I didn't want another cookie. I would have to make 2 pies or cheesecakes if I wanted to serve 11 people. I was not going to be on hand to cut and serve cake and wanted to have a nice presentation so didn't want to cut the cake before hand. That left me with brownies and bars or cupcakes. I started going through those two categories and I found a lot of great ideas like Maple Walnut Blondies (definitely being made this fall) and Lemon Lush Bars (doesn't that make your mouth water?) but then I went to cupcakes and found the PERFECT recipe. 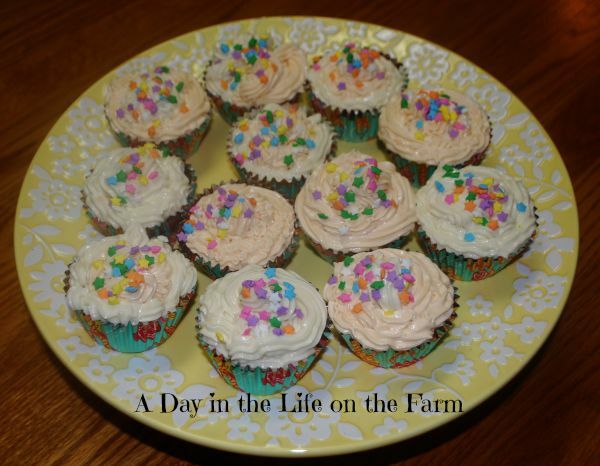 The recipe I chose is one of my favorite summer flavors, Orange Creamsicle, and it makes only 12 cupcakes so I wouldn't be tempted to finish off the extra 13 that would be left if everyone ate just one cupcake. I need not have worried, had I made a triple batch I don't think there would have been any leftovers. Frank said that his students were crazy about these wonderful cupcakes. I will have to take his and their word for it that they were delicious because I did not get one little bite of one little cupcake...they were inhaled and gone within moments. You know what this means don't you? Yep, I will be making these again in the very near future. I followed Erin's recipe exactly. The only changes I made were to the aesthetics. Erin, very prettily, had her frosting piped on with dual colors, adjacent to each other. I made some orange frosted, some white frosted and some a mixture of both. Erin also topped hers with orange gummies (my favorite candy in the world). I forgot to pick any up so I decorated with sprinkles. Preheat oven to 350*. Line a cupcake tin with paper or foil liners. Combine flour, baking powder and salt in small bowl. Set aside. Cream butter and sugar. Add eggs, one at a time, beating well after each. Mix in vanilla, orange extract, zest and orange juice. Add dry ingredients alternately with milk, beating after each addition. 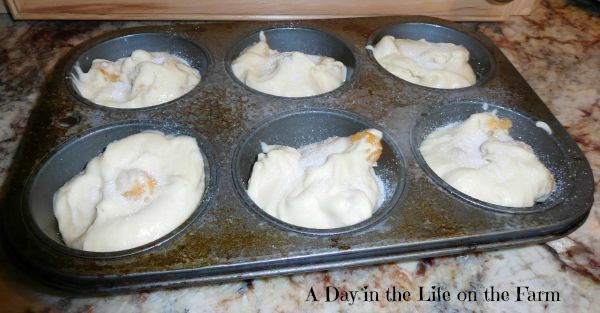 Scoop into 12 cupcake liners and bake in preheated oven for 20-25 minutes or until a skewer inserted removes cleanly. In two separate applications, using 1 bowl for each. Cream butter until light and fluffy. Sift sugar over butter, add any extracts and liquids and beat until combined and fluffy. Add the food coloring, a drop at a time, to the frosting containing the orange extract and juice, until desired color is reached. Check out all the great recipes chosen this month! This month's Sunday Supper is being hosted by Amy of Kimchi Mom. Amy is Korean American and trying to walk in her Mom's big shoes and prepare home cooked meals for her 2 children each night. Those of us with children know that this is often more easier said than done, especially when they start getting involved in extracurricular activities which never, ever seem to coincide time wise. 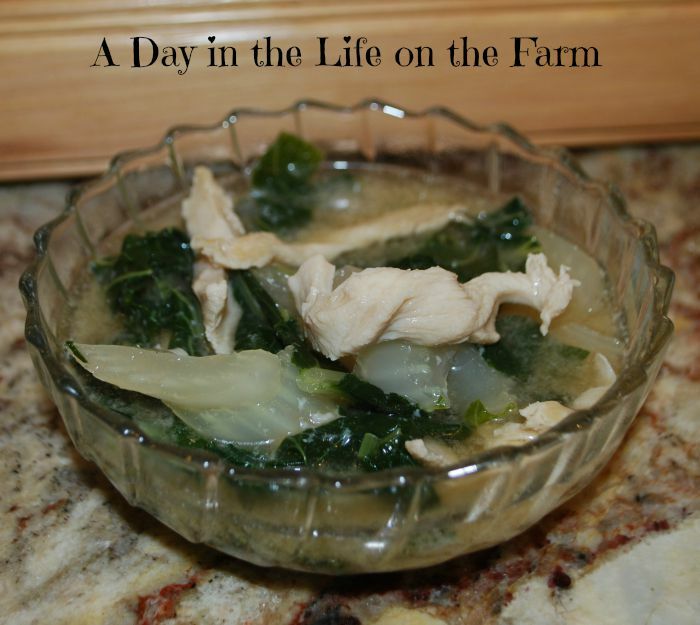 It is no surprise that Amy chose Asian Cuisine for her theme this month. This is right up my alley since I have an Asian daughter and half Asian grand-daughter. I try to cook them meals that will help alleviate some of the home sickness my daughter sometimes has. After having Tingting for 8 years I have learned a few things. First and foremost, the food that we consider Chinese....the stuff in tons of gravy and sweet and sour sauces....isn't the Chinese food that she grew up loving and longing for today. It is a very Americanized version, still good mind you, just not what she is pining away for. Then I discovered a cookbook called "My Grandmother's Chinese Kitchen by Eileen Yin-Fei Lo. The first meal I made for Tingting from this cookbook made her eyes light up and she said "this is just like my grandma's". My heart sang and I knew that when my daughter started longing for her roots I would be able to soothe her, even if just a little bit, with a recipe from this book. I decided to make Bok Choy and Shredded Chicken Soup. 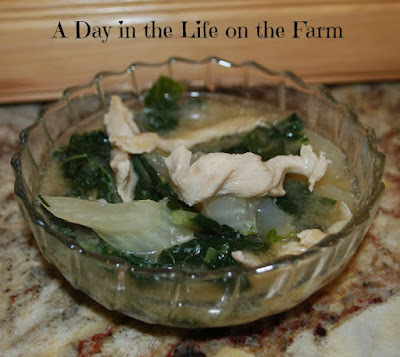 Soup is eaten frequently in China so while Tingting loves our Chicken Noodle Soup and Beef Vegetable Soup, I wanted to surprise her with a more familiar version of Chicken Vegetable Soup. She was very surprised because this soup was delicious and she was unable to come over the day I made it. When she came over the next day it was G O N E, gone. Don't worry Tingting, this easy and delicious soup will be making many more appearances. 1 1/2 lbs. Bok Choy, washed, dried and cut on the diagonal in 1/2" pieces, stalks and leaves separated. Place oyster sauce, soy sauce, gin, sesame oil, sugar and cornstarch in a sealable plastic bag and shake to combine. Add chicken, toss to coat, press out the air from the bag and let chicken marinate in the refrigerator for 20 minutes. Here are what the others brought to our Asian Table this week.